Noble Studios, who helped make our vision a reality, sent me a surprise envelope just before holidays. What could it be? Drum roll... It was a certificate and a letter from the Web Marketing Association. 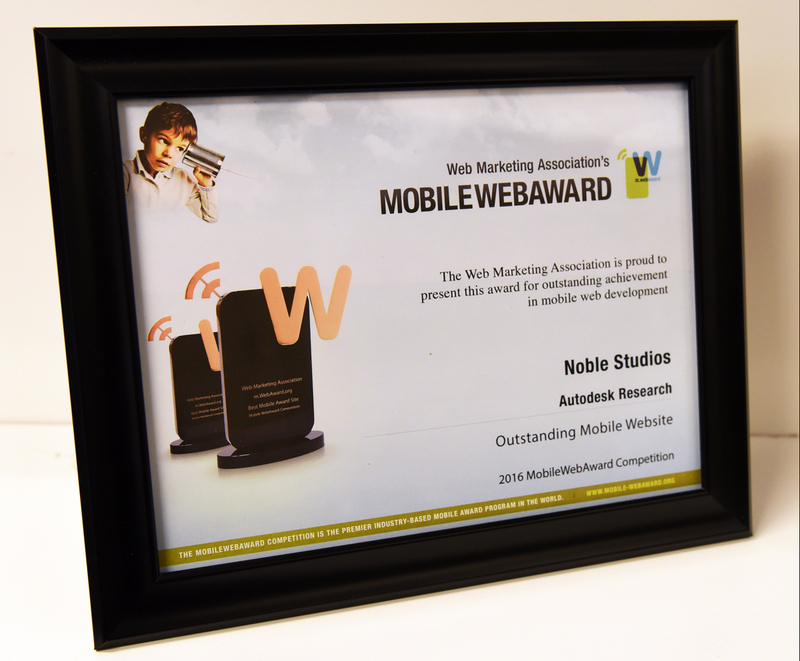 The letter reads: "The Web Marketing Association would like to take this opportunity to congratulate you once again for winning a 2016 MobileWebAward. 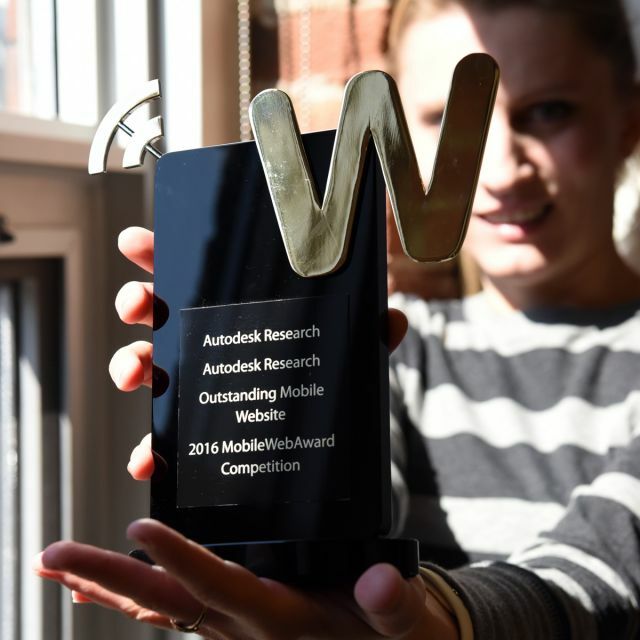 Since 1997, the Web Marketing Association annual award competitions have allowed thousands of participants to receive independent evaluation of their Web development efforts in a form that has become the Internet's premier online awards event. 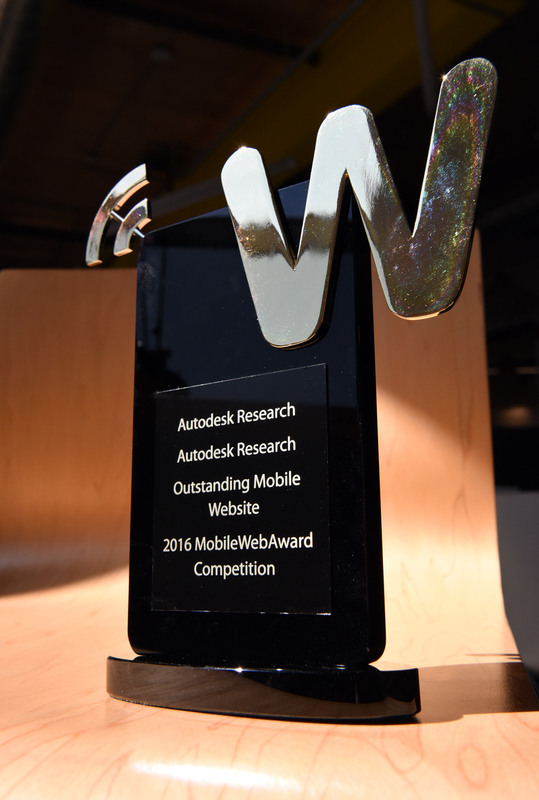 This award is a physical reminder of your accomplishment and outstanding Web development efforts. It will announce to everyone who sees it your success in this year's competition." 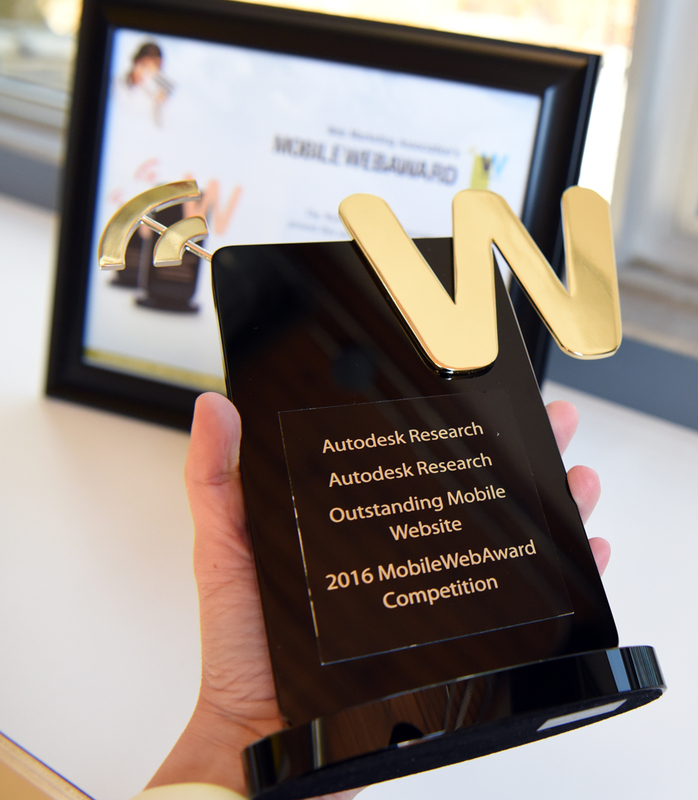 Fast forward to today: our award arrived! This is the biggest cell phone I've ever held in my hand! We are really excited and proud of this recognition of our efforts and partnership. Since mobile Internet usage is surpassing desktop usage, making our Autodesk Research knowledge repository available to as many different types of users as possible (our site supports mobile devices, tablets, laptops, desktops, and wide screens) is a great way to inspire innovation globally, and to attract young brilliant minds to work for Autodesk.